I am, however, building a few and will post them here in the future. 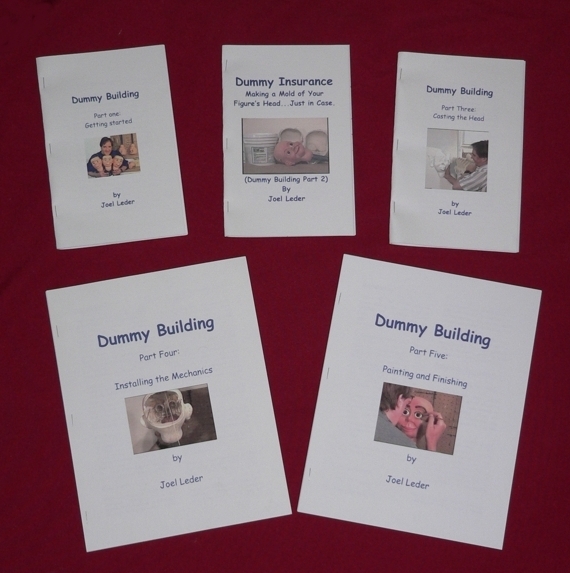 Joel Leder's dummy building books are not available for the time being. I have been performing so much I cannot get around to printing and mailing these due to the lack of time. Thank you for those that bought them, I hope to be coming out with an expanded version in the future. I do wish to remind you that you may not copy other peoples figures. You may see copies out there of some, but those are of builders who have long passed away and the copyright is no longer in effect. Otherwise they should be licensed under most circumstances. Those figure builders that are still around and characters of famous ventriloquists, cartoon characters or famous people are also protected.